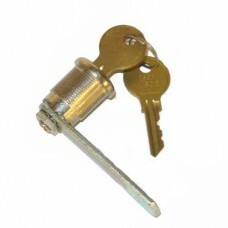 This keyed lock is New, Old Stock from Sebring specifically for the rear window on the ComuaCar. The metal latch must be bent o fit the car, or the original metal latch may be transferred to the new lock. Application: Sebring transition cars and ComutaCars with lift up rear windows.